General Ricardo Sanchez Elementary celebrated Mexico’s Independence Day on September 16th in order to expose students to Mexico’s history and diverse culture. These cultural lessons are meaningful to students because they were allowed to dress up, enjoy some Mexican cuisine and participate in hands-on activities. In addition, mariachi members shared with 1st grade students one of Mexico’s great assets; mariachi music. 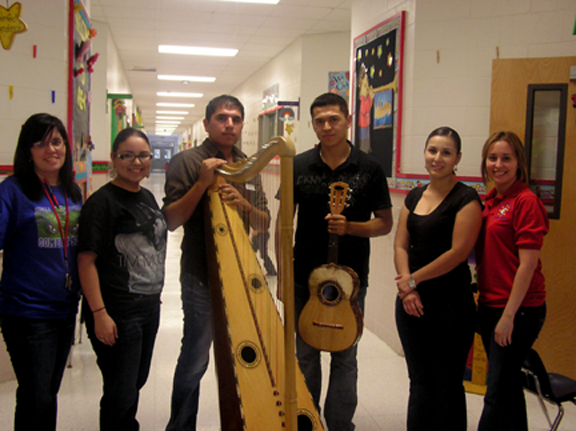 They learned about the different instruments and the different genres of music that evolved in Mexico. This was definitely a rewarding learning experience that encouraged students to value and be proud of their Hispanic heritage. El Grito de Dolores: In the early hours of September 16th, 1810, Miguel Hidalgo y Costilla, a priest in the small town of Dolores, Guanajuato, rang the church bell to gather the townspeople. He called for the people of Mexico to rise up against the Spanish Crown, thus initiating Mexico's War of Independence, also known as “El Grito de la Independencia”. The country did not achieve independence until 1821, but it is this event, known as the Grito de Dolores which is commemorated every year in town squares across Mexico. Diez y siez de septiembre becomes a school wide lesson at Alto Bonito Elementary. Every year teachers include a lesson on the historical significance of Mexico’s War of Independence as well as the cultural impact that this moment had in history. Some classes start the day with “El Grito De Dolores”, and some dress up for the occasion and have traditional dances. Pictured above are Yamilex Gazca, Koraima Garcia, and Carolina Alamillo, they are dressed for their annual diez y sies de septiembre classroom activity. 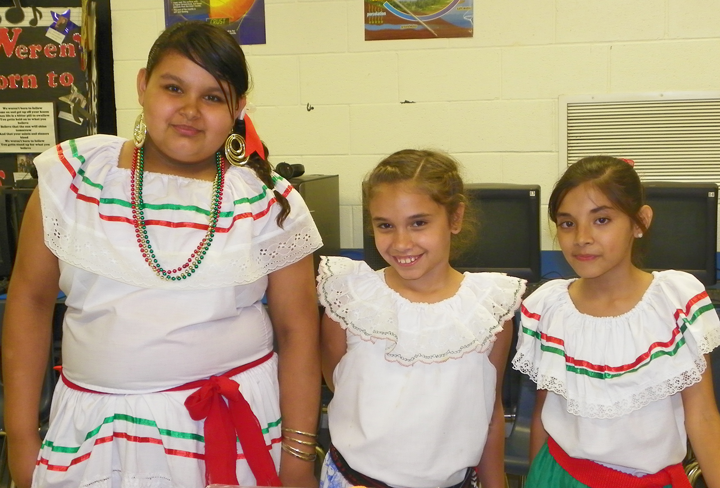 La Union Elementary students celebrated 16 de septiembre by learning about the Mexican culture and this historical date. Students and staff dressed for the occassion by wearing the bright red, white and green. Mrs. Vilma Ruiz, 2nd grade teacher, gave the students a brief background on the popular Mexican celebration and the history behind 16 de septiembre. 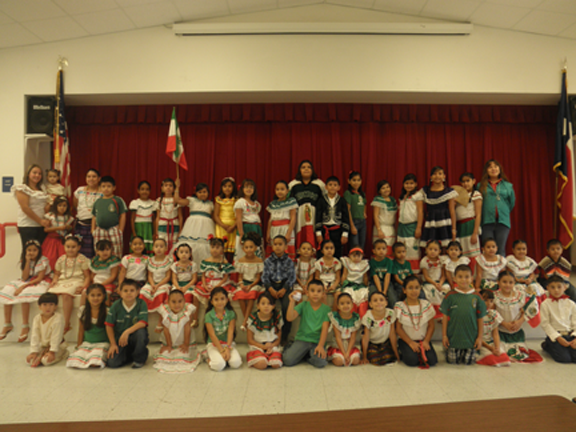 Pictured above are students from La Union Elementary in their 16 de septiembre costumes.